Corals and fish look fantastic. Did you read the article by Matt Peterson recently in CORAL about keeping obligate corrallivores? My tank is still down, but there is a new food that mimics the sompounds in corals by utilizing jelly fish. Worth a read, I think these fish can be kept, just need very very special care, and even with that the mortality rate will likely be high. Best of luck, Meyers are stunning. Last edited by Achilles Torben; 11/15/2018 at 07:23 PM. How freaken cool that the first time ive been on for a while and open this thread and there my name is. I should play lottery !! Meyeri gone back to Dejong yesterday. To much Millepora in my tank that have to remove before get killed by that butterfly. Catch one Assessor by tuned fish trap. Black top because Assessor love to swim under rocks also install a mirror. Trap shut by two rubber bands for faster clothing. Hope second Assessor will follow that I can cycle thank 60 days fish free for quarantine. Hope that one year nearly fish free tank ends in the next 60+ days! Today is day 19 of cycling systems without fish. How many days I should do before returning fish? I got a tank breed Paracentropyge multifaciata baby. Very healthy the last weeks until now. Catched multifaciata mostly died also in my coral tank. In coral tank I put new fish for better surviving rate. My problem fish is venusta, multifaciata and Pygoplites diacanthus. My last two diacanthus I bought at an other wholesaler, more expensive but two adult survive. 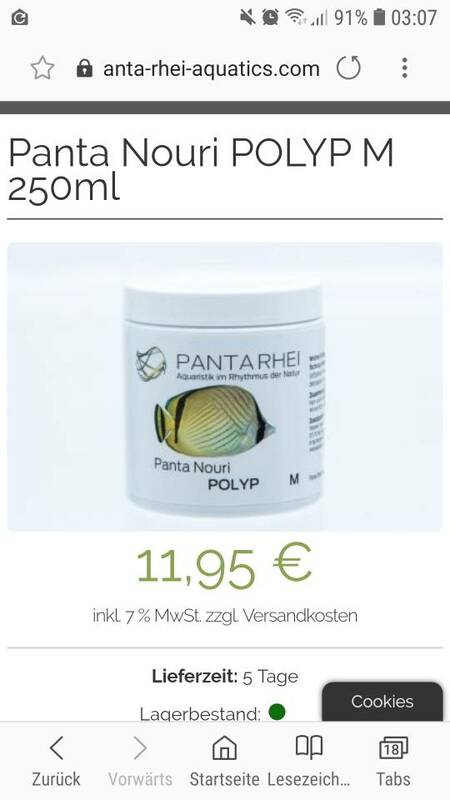 I ordered two tank breed Chaetodontoplus personifer tank breed and two Centropyge flavissimus tank breed. Hope to get min one of everyone. Amazing set-up, thanks for sharing. Good luck with QT and the fish. How are all the corals in the display tank doing? Really I like my bare bottom. Current Tank Info: Building a in wall 300G reef tank. Before you sent the Meyer back to DeJong was it eating anything other than corals? Hello Derek, just corals! I was bissy in these time so I had no time to try mussels or else. What do you think of cycling without fish? 30, 40 or 60 days? They say 76 days is the longest known time an ich can live without a host and recommend doing at least that to be totally sure...other parasites have shorter lifespans without hosts. I think that is the time in colder water there the cyclus of ich is longer? It is from an article by Humblefish on the other site. Very informative. The studies referenced were at a range of temperatures from 23-27 C, but he references 78-84F when talking about 76 days. So the range you would be in 76 days should cover it either way. I have found that the Multibar, Venustus and Regals are all fish that you have to have a really well established and mature aquarium. I only get the Red Sea or Yellow Belly Regals. I currently have a pair of Yellow Belly Misbar Regals that came from Vincent at Bali Aquarium 3+ Years ago. Before a power outage in July of 2017 I have a Yellow Belly Regal for 5+ years. In that 5 years I would guess I only saw that fish eat maybe 5-6 times. It didn't care about any food in the tank. And it didn't seem to do that much eating during the day hours. The regals are usually very shy fish. After losing the fish because of the Power Outage in 2017 I had a pair of regals in my outdoor tank that I moved inside. These 2 were used to being in a frag tank which didn't really have any hiding spaces. They are much more active in the main display tank and both are more interested in food. Prior to the July 17 issue I also had a pair of Multibars for 5+ years. These fish are also a fish that didn't care about what food went into the tank. They just wanted to hunt the rocks. Even with fresh live brine, or black worms in the tank they would swim past. After losing that pair, I did not replace them. I like the multi-bar. To me they are the poor man's Peppermint. But the Multi-bar would out of the blue decide to eat a bunch of Acans. I would put a couple of frags in. they would do well. I would put in some more and then after 6-8 months of the acan doing great in 2 days they eat them all. I do plan to get Multi-bar's again when i have a dedicated tank for them which is smaller where i can enjoy them (actually hoping one day to put a small tank for when sitting on the toilet in front of me for Multi-bars and clowns. Venustus is a fish that challenged me or decades. But then I stared getting 3 or 4 at a time and had much better results. I currently have a trio of Venustus. 1 of them is 7+ years the others are 1.5 years. The Venustus is also a shy angel. It was months and months of sitting in front of the tank trying to see do I still have 2 or 3 or none. Because they just don't like to be in open water. Once the Venustus settle in they are more active than the other angels I've listed. But still sometimes it may be 2 or 3 days till I see all 3 at once to know they are doing well. I have not had luck keeping the Colini. If I get them past a month, which is seldom then they just fall over dead at month 4 to 6. I don't know what I am missing. 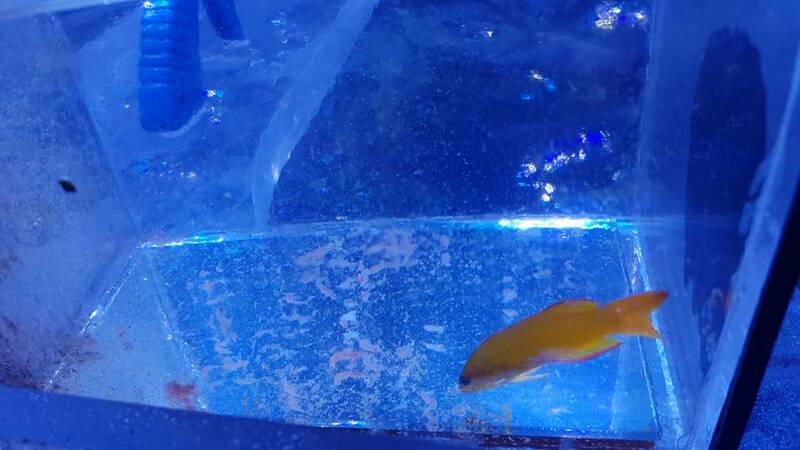 And the other fish to add to this category is the Centropyge Aurentia or Golden Angel. I love these little fish. I was present when the first one arrived in the states. But this fish is so damn shy. After a tank crash 7 years ago I thought I lost my pair of Aurentia. It wasn't until 18 months after the crash that when editing some coral photos the damn golden photo bombed a pic. And a few months after that it turned out both Goldens were alive. And then 4 years after that while Vincent Chalais of Bali Aquarium was visiting, the darn things spawned in front of him (there is an article in a French Reefing Magazine about this event) unfortunately the article was published in July of 2017 just a few weeks after the power failure. The success in keeping the angels you mentioned (in my opinion and experience) is to NOT Quarantine them. Most of these fish come from Regions where they had to have been hand caught (excluding Venustus). These fish need to be able to go into a new environment and be able to hide in the dark and be comfortable eating on their own from things naturally available. They don't want to eat flakes, or frozen or pellets. They need to be hunting and gathering. Once they are comfortable that they can survive in their new tank then they MIGHT start looking at all the food we offer them. With the exception of the Regals all the other angels also have to have a ton on rock/caves for hiding spaces. PVC pipe pieces doesn't work. When they are hiding in the pipes they are hiding. When they are hiding in caves of natural rock they are constantly picking at pods and food in the cave. I have had good luck in acclimating these angels in my outdoor frag tank, because for some strange reason frag racks and frag plugs are a plethora of pods that make for easy feeding for finicky fish. I am amazed that a 8'x4' frag tank with just racks of frags produces enough food to support 8-10 angels (including adult imperator, navarchus and regal) along with pairs of Mandarins and Dragon Pipe fish. And even after them all eating pods all day long you pick up any frag in the tank and its covered in pods. Thanks Dave, I can confirm mostly of your points. I had only yellow belly Regals like you. But the last two I became eats pellets Mysis etc aggressively after day two just in tank with only pipes. They are adult but not fully grown. Multibar and venusta can die after a few weeks also they are eating Mysis and pellets. Don't now why. In coral tank they stay alive definitely better. What's going on with your tank? I went through a few tough months last summer and had to foster out my fish but was lucky enough to get some of them back. Currently restocking slowly.